Oracle Each opponent's maximum hand size is reduced by two. 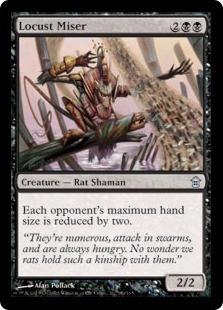 Flavor Text They're numerous, attack in swarms, and are always hungry. No wonder we rats hold such a kinship with them.